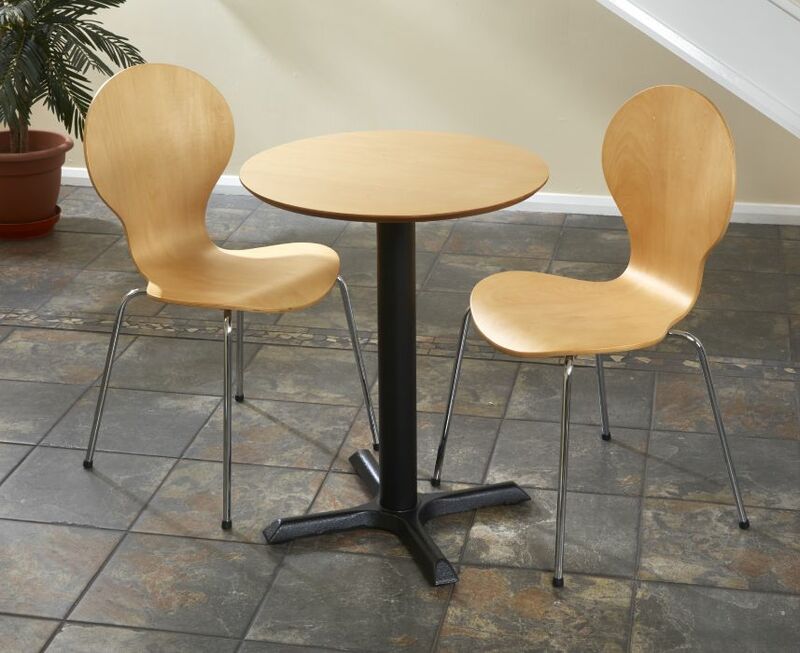 Small dining set with two Butterfly chairs and a round table in a choice of two matching or contrasting finishes. Available from stock for a free and fast delivery. 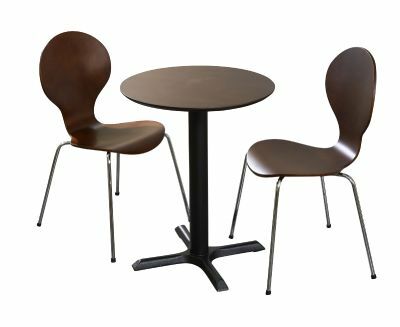 Table top is veneered MDF with a beveled edge and PU lacquer. Free in house design and space planning. Tops are Maple veneer with a PU lacquer. Please do not clean with anti bacterial sprays or strong detergents.